Most Los Angeles locals are familiar with Barnsdall Art Park in Hollywood. The park is home to Frank Lloyd Wright’s Hollyhock house, weekly Farmer’s Markets and a variety of activities throughout the year. I was at Barnsdall Park myself last Saturday enjoying Taste of the Eastside, with great food and libations from a variety of local restaurants and vendors for the benefit ofthe Rose Scharlin School. If you missed the fun, watch for it in early May next year. 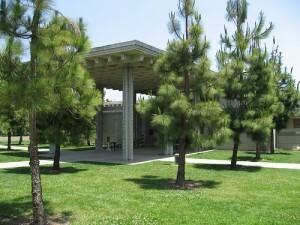 Also located on the park grounds is the Los Angeles Municipal Art Gallery. The art gallery’s mission is to “promote, interpret, and present the art of emerging, mid career and established artists from culturally diverse South California”. What that means? The 10,000 gallery is a great place to see a variety of art from area artists ranging from sculpture, photography, painting etc. as well as performance art and installation works. Amazing as it may seem, admission to the gallery is actually free. The gallery is open Thursday–Sunday from noon to 5 pm and on first Fridays from noon to 9 pm. Of course, behind any such endeavor you’ll find a group of volunteers working to provide funding and keep the operation open. The Los Angeles Municipal Art Gallery Associates (LAMAGA) is a private non-profit corporation that was founded in 1951, with the goal of promoting the museum and serving as advocates. LAMAGA helps support the Los Angeles Municipal Art Gallery with grant writing, special exhibits, public relations, and of course, fundraising. Saturday, May 12 at 7:00PM, LAGMA and the Barnsdall Art Park Foundation invite you to their biannual benefit in Barnsdall Art Park: Eat.Drink.Art. This event is a celebration of art where guests can dance, drink and mingle with artists, gallery supporters, curators, civic and cultural leaders and of course, friends! Admission is $25 and includes a 4 drink flight. There will be DJ’d music, food trucks, wine and beer tasting and performances, installations and demonstrations by multi-talented artists. Come out for a great evening and support the Los Angele Municipal Art Gallery at the same time. Tickets to Eat.Drink Art are available online. Please note that this is and adults-only affair, so no one under the age of 21 will be admitted. Tickets will also be available at the door. This was the second year but it was right around the same time last year. Start watching for it towards the end of April and next year you can enjoy it along with me and many others! I missed the fun, if this is a yearly event I will watch for this next year. Thanks for sharing the event and the event I will wait for year 2013.